Remember that secret identity thing Spider-Man used to have? 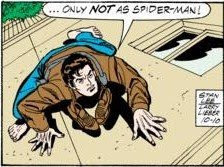 You know, before he climbed up a museum wall in his civilian clothes? Good times. Seriously, though, you go on and on about secret identities and then you pull something like this. You're begging for your family to get shot, aren't you? TIL: The fact that Peter's modus operandi for capturing the fake Spider-Man seems to be the same modus operandi he would use as Spider-Man. Big-Time delivers by talking about the specific clock he wants stolen. However, a question arises: does he just have a collection of clocks, or is it a clock store or something? If it is just a collection, how the heck did he get all the money to buy the clocks? Or are they all stolen? I doubt we will find out. We've now spent two days establishing that, yes, there is a clock exhibit and that Peter thinks it's beneath his notice. Any time spent on this topic, without talking about capers involving said exhibit or actually being at that exhibit, will be time wasted. You hear that, Big-Time? TIME WASTED. I trust you'll do the right thing, my fiendish friend. TIL: Big-Time appears to have a torso of the Pseudo-Spider on his wall. 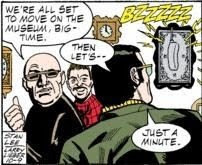 If only Peter knew what we knew: that his current mystery foe was in the employ of a clock-obsessed man named Big-Time. 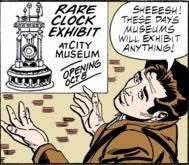 Then he'd know that this clock exhibit is probably the sort of thing to watch out for. Also, people probably think he's insane walking around and talking to himself like that. Since he's walking, people will only hear snippets of his monologue, rendering his secret identity safe, but the third panel? I imagine a disinterested man who is out walking his dog stopping suddenly as Peter bends over backwards and comments on promiscuous museums. That man with a dog is probably really confused. The only other explanation is that the fourth wall is being broken. TIL: I like how they're setting up Big-Time to be a 60's Batman villain. I hope there's clock puns. There's really no point in me doing a countdown for this panel of the week, as there was really only one thing that could win once it showed up on the scene. This is because I'm shameless and recognize that Maria Lopez, naked in a tub, could potentially bring in more hits. Which is why many of the posts, from this point forward, will include the words "Maria Lopez naked in a tub". I need the hits, people. Well, here's the panel: Here's hoping next week has a good contender for the panel of the week, otherwise it'll be week two of Maria Lopez. Naked. In a tub. The Return of Loretta! ...oh, and Maria Lopez naked in a tub. I'm willing to believe that Jameson's new blond assistant is actually Loretta the Slave-Woman, who has previously done her best to make Spider-Man's life miserable by alerting Mary Jane to the fact that another woman was posing as Spidey's wife, and playing masseuse to Simon Krandis. Here, she is attempting to further her no doubt nefarious plans by aiding Spider-Man's most prominent detractor, J. Jonah Jameson. Why are you doing this, Loretta, and when will it all end? Also, my god, the last thing I was expecting to see today was Maria Lopez naked in a tub. Jameson would probably have a lot more to say than "!" if he knew. This is positively shameful. Mike P knows full well that we have female readers, we've seen their comments and whatnot. I'm sure they won't enjoy this at all. What's that, Mike P? You do know? Well, what are you going to do about it? You offer your apologies in advance. Well, that's swell. That's just swell. You know what? 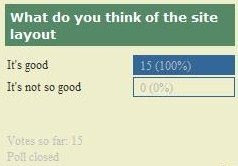 I hope you lose readers because of this, and I'm thinking of washing my hands of this whole poll of the week thing if you keep pulling shenanigans like this. Consider this strike one, Mike P. You're on notice. Unless Mary Jane was somehow listening in on the conversation, she doesn't see. She does seem to have a nearly supernatural talent when it comes to Jameson offering Peter more money over the phone, but still. It's also possible that Jameson just talks really, really loud which is also believable. Also, if Peter is really that interested in doling out justice and getting paid for it, he should become a bounty hunter. TIL: Mary Jane is awfully sassy today. ...that's actually a pretty good plan. Also, it doesn't seem to involve Google or television at all. I'm surprised, Mister Parker. Quite surprised. Also, is it possible that Stan Lee has been setting this up? I mean, the secret identity thing was a plot thread a few storylines ago. Either he forgot about it and is just now picking it back up, or he was actually planning this. Curious. TIL: The fact that Peter is actually being a bit pro-active. I'm sure he could set a web-foot outside and be safe from the police for a bit. After all, he can web-sling, and I understand that's a pretty fast mode of transportation. No cops will be able to lay a finger on him. When he lands, of course, the police will all over him. Ah, and if they decide to break out the helicopter. Which, to be honest, would probably be more exciting than Peter trying to be a detective. TIL: Mary Jane, who obviously remembers the last fifteen times this happened.